It’s preview time, so I’m sure you all know what to expect from me by now………Ok, so it’s Wigan and we’ve won 12 and lost only one of 15 previous games against them in the Premier League but anything that’s gone before doesn’t seem to count this season. For a start, we started off as Champions of Europe and very quickly found ourselves in the Europa League, so if anything can turn on its head this season, it very probably will. Which brings me nicely on to our current form. We come into today’s game without a win in four and off the back of a defeat to Newcastle. In fact, we’ve only had three wins from our last ten games – and all that leaves us just a point ahead of Spurs. Embarrassing or what? Mind you, today’s opponents have only had one win from their last twelve as well, so we won’t be expecting an edge of your seat goal-fest this afternoon eh? For Chelsea, Oriol Romeu and John Terry (both knee) are out, John Obi Mikel and Victor Moses are still at the African Cup of Nations and Petr Cech (broken finger) is given as a doubt. Demba Ba (broken nose) faces a late assessment although could borrow Cech’s old face mask at a push. Eden Hazard is available again after completing a three-match suspension for his tussle with a ball boy and David Luiz (calf) is also fit again. 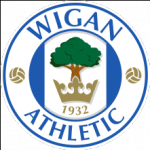 For Wigan, Emmerson Boyce and Adrian Lopez (both hamstring) are out and Antolin Alcaraz (groin) is still not quite ready for a return. Gary Caldwell (hip) is given as a doubt although Arouna Kone is back from the Africa Cup of Nations and considered fit. 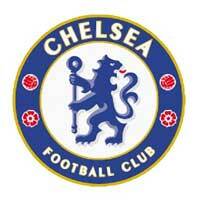 CHELSEA (Possible line-up): Turnbull; Ivanovic, Cahill, Luiz, Cole; Ramires, Lampard; Oscar, Mata, Hazard; Torres. WIGAN (Possible line-up): Al Habsi; Scharner, Caldwell, Figueroa; Stam, McCarthy, McArthur, Beausejour; Di Santo, Kone, Maloney. See last 4 or 5 predictions because nothing will change anytime soon if FSW is still hanging around.